If you follow me on Instagram (@FrancescaPenko) you would have seen my latest thrift store score that I posted. I was browsing the thrift store and came across this bag. 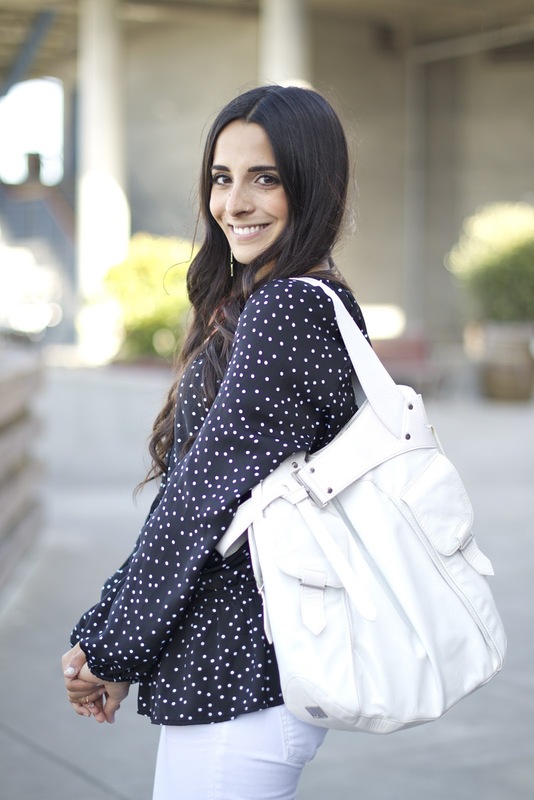 I don’t normally go for white bags, but it’s summery and there was something about this gorgeous bag that drew me in. I grabbed it off the shelf and took a peek inside, only to find out it was a Kooba bag. After doing a little happy dance and thinking how amazing it was, I looked at the price tag and realized it was half-off day. I walked away spending only $12- 98% off the original price! 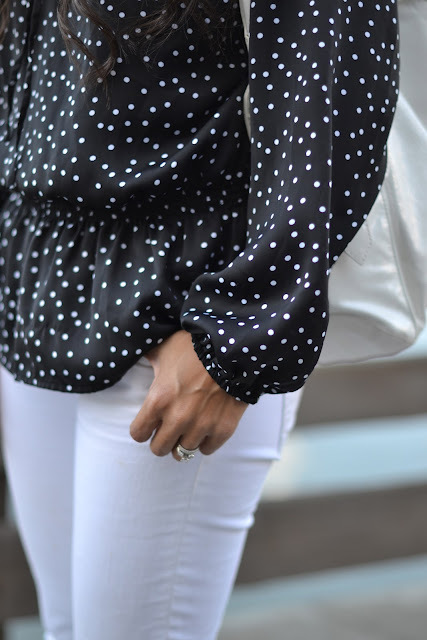 I added this polka dot blouse and flared jeans for a retro vibe. And guess what- this whole outfit, head-to-toe, was entirely thrifted! I have so many fun fashion DIY’s coming up and I can’t wait to share them with you all! What a great deal on that bag! Love this look too. What a score on the bag! I love it! And I love your flared jeans too! Love your wide leg jeans!!! 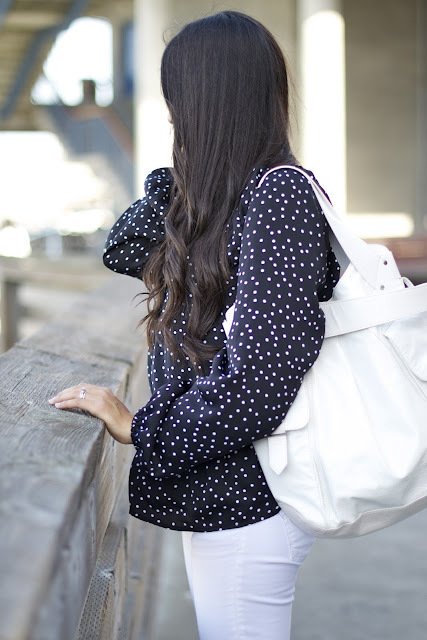 Loving the dotted shirt and white pants together!